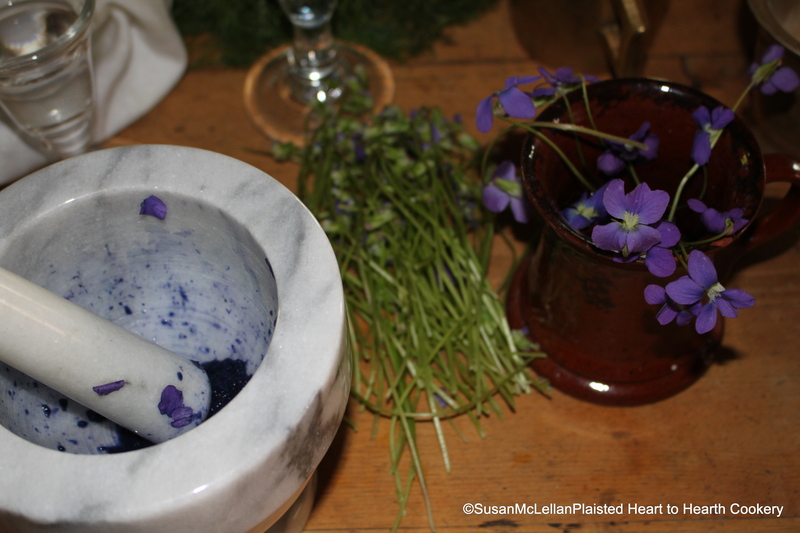 The first step in the preparation of the receipt (recipe) for A Tansie of Violets, was to Beat your Violets in a Morter. The violet flowers were kept in water prior to use and the stems removed. It took quite a number of violets to make a sufficient quantity of pulp that could be juiced.